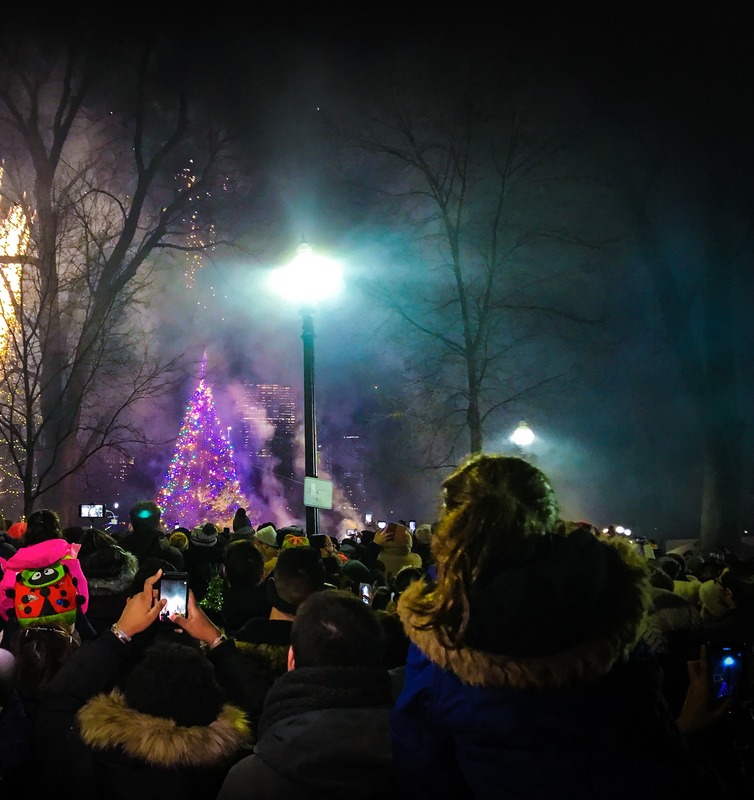 The 77th annual Boston Common Tree Lighting was a hit as Mayor Marty Walsh lit the traditional Christmas tree donated from Nova Scotia last Thursday. Special guests of the event included multi-platinum pop singer, Andy Grammer, and Red Sox President Sam Kennedy. The Common was filled with Boston residents and visitors ready for the Christmas season. Some visitors at the ceremony waved around the flag of Nova Scotia and wore Christmas sweaters. Mary McConnell, a retired teacher from Nova Scotia, said this tree lighting was the second one she’s been to in several years. Although this was a fun event, McConnell was quick to remember why this is such an important tradition. In December 1917, a Norwegian vessel collided with a French cargo ship full of explosives off the coast of Halifax, Nova Scotia. The blast decimated communities that were within a half-mile radius and Boston residents rushed to help. “Sometimes help comes from unexpected places,” McConnell said. Bostonians were quick to help by sending a train of food, water, medical supplies, and first responders to help the victims of the explosion. Nova Scotia showed gratitude by sending a Christmas tree to the City of Boston in 1918. It has been continued tradition ever since. Mayor Marty Walsh was joined by Deputy Premier of Nova Scotia Karen Casey, some members from the Royal Canadian Mounted Police and the jolly man himself – Santa Claus – onstage as he lit the 46-foot white spruce tree. The ceremony ended with fireworks and confetti as Bostonians cheered and sang along with Christmas music. The Christmas tree will be lit throughout the holiday season.